Rise. The new Nike collection is out just in time for the new season- and will set the brightest young talents on the road to stardom. It’s time for the next generation of superstars to step forward and set the world alight. Over the past few years, we’ve all become a little obsessed with the unbelievable talents of Lionel Messi and Cristiano Ronaldo. Never before have two footballing talents stood so prominently above every other player on the planet, and it’s fair to say that young players across the globe all aspire to achieve such greatness. But with getting carried away with the sight of players lifting trophy after trophy, it’s easy for us to forget that today’s great players were once one of those aspiring youngsters. It’s players like Ronaldo and Messi that have stepped up to become the golden generation of football, and now it’s time to start looking at who will fill their shoes. 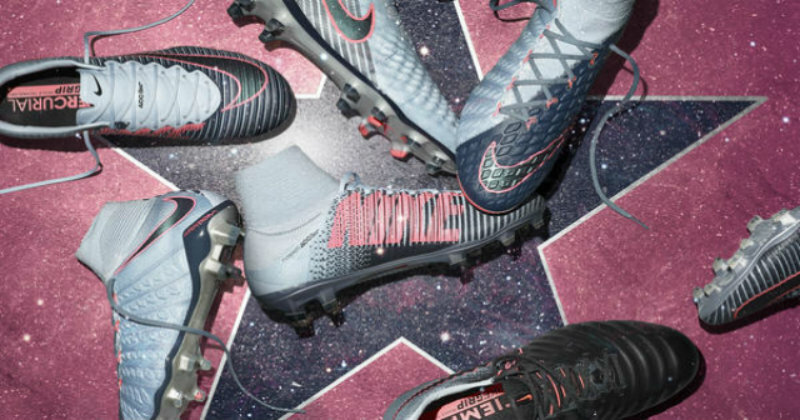 The brand-new Nike “Rising Fast Pack” is meant to be worn by the best young talents on the planet, and act as the starting point of their incredible story, as the next generation of footballers start to step into the limelight. Following the recent releases of the Nike “Tech Craft Pack” and “Academy Pack”, which were completely black designs, we’ve all been positively itching at the prospect of a brand-new collection that’s packed with colour and swagger. Well, the new “Rising Fast Pack” certainly doesn’t disappoint, as it seems only the best will do for football’s young starlets. The idea behind the new Nike collection is that the best players born after 1995 can now start writing their own stories. They are specifically engineered to provide young footballers with a platform that can help propel them into superstardom, and the bold style is designed to mirror the boldness of the players wearing them. 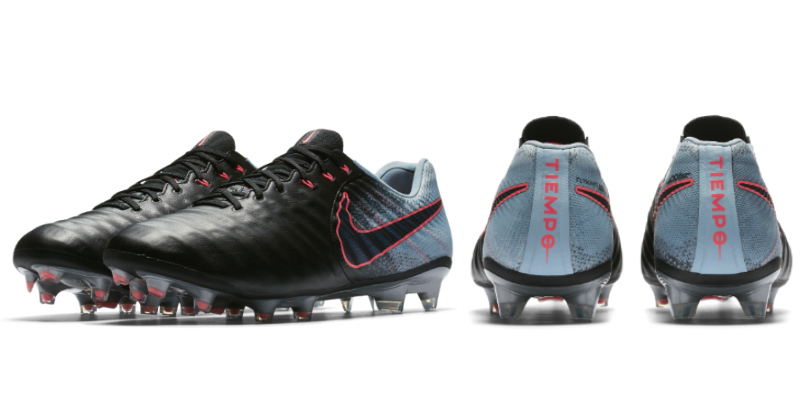 Incorporating a light blue/grey colourway and combining this with navy and pink details, it’s fair to say that these boots will certainly attract the attention the players deserve. The stunning design gives young players absolutely everything they need to stand out on the world’s biggest stage, and we can’t wait to see what the youngsters can do in them. 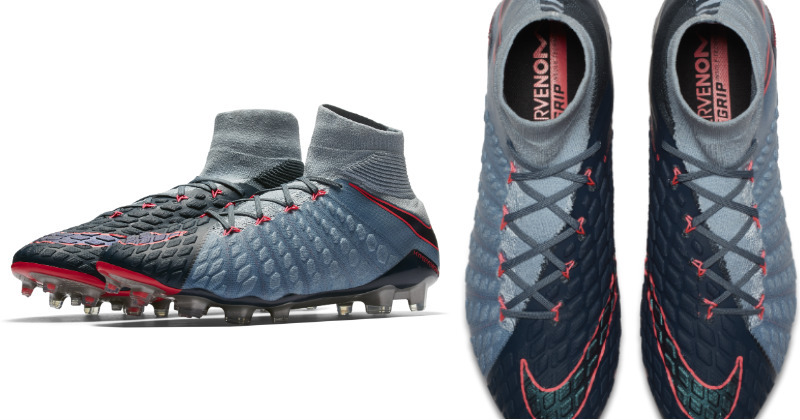 The Nike “Rising Fast” Pack includes some of Nike’s most popular silos: Hypervenom, Mercurial, Tiempo and Magista. Every top young player in the world is being given the opportunity to enhance their game and develop as a footballer, because this collection includes something for all styles of play. 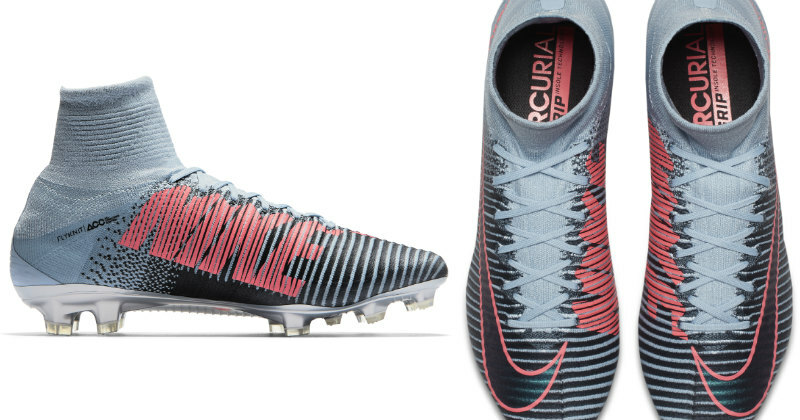 So keep your eyes peeled for the likes of Ousmane Dembele unleashing his pace with the Rising Fast Mercurial, which provides the best tech for players with explosive speed. 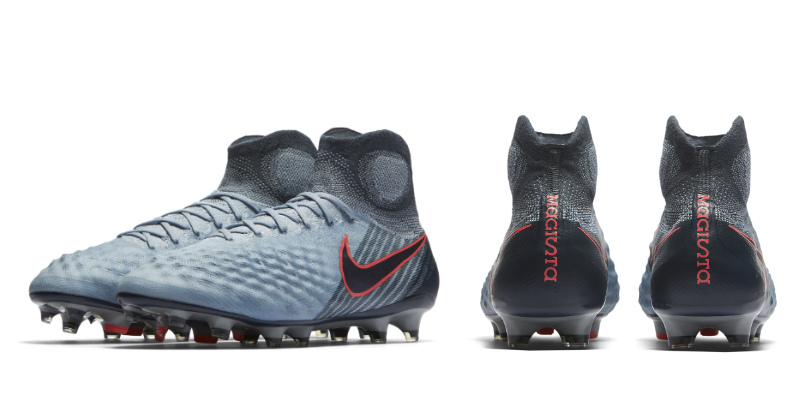 The new Hypervenom enhances finishing, while the Magista provides a fantastic touch and will be worn by the best young playmakers on the planet. There are dozens of incredibly exciting young talents out there at the moment, but only time will tell whether they are able to fulfil their true potential. With the likes of Marco Asensio, Anthony Martial and Kylian Mbappe all eligible to wear the new “Rising Fast Pack”, we can’t wait to see them in action throughout the season. Are you a fan of the new Nike collection? Then have a look for the best deals on football boots today with FOOTY.COM. We compare prices to make you a saving on some of the latest releases, so go ahead and discover your new favourite pair!